Read on to see how to organize your kids’ schedules, chores, and activities. Everything you need to know about kids organization tips is in this guide. This guide will walk you through every step of kids organization and is chock full of great tips and ideas. You’ll discover apps that help with allowance, how to keep kids organized, and amazing ways to keep track of everyone’s schedules. Whether you have one child or a dozen, there are so many things to keep organized. This guide will walk you through everything you need to know to keep your kids organized and prevent you from being overwhelmed. There are lots of small behaviors you can change that will help you stay organized with all that your kids have going on. 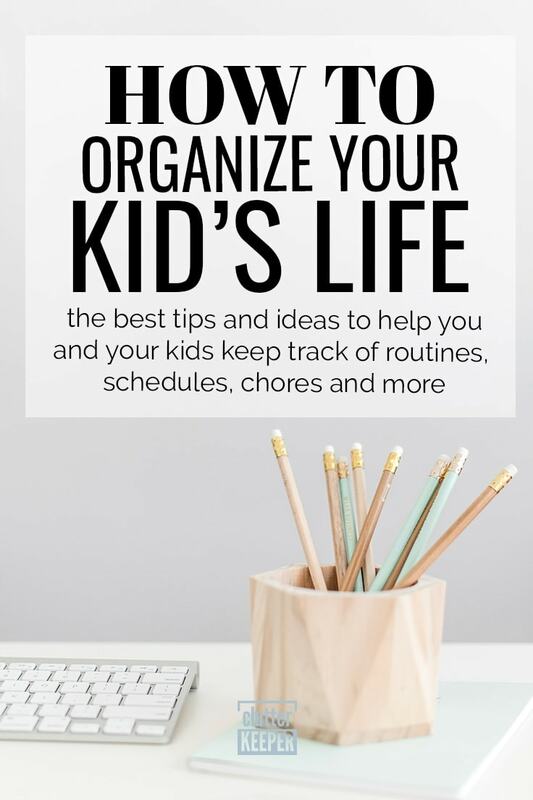 If it has to do with your kids – from their chores to their allowances and schedules – you will find ideas in this guide that will help you stay organized. The first thing you need to organize with kids is setting routines. Everything runs so much smoother and faster when you have an effective routine. Children know what to expect and it’s easier to remember important things like grabbing the school lunch. To organize a kids routine, pick out the most common things you do every morning, after school, and night. Then, put them in order. This is your new routine. If you are trying to establish a new routine for your kids, try to find a common place (like your calendar or command center) where you can display the routine. If they can see it, it will be easier for them to follow. The following are some examples of common routines. Use them as a way to add a new routine for your kids or to maybe make your current routine a little better. Weekend Routines or Free Time – Which is Best? Do you have a routine for your kids on the weekends? There are studies that say there are lots of benefits of giving kids free time to play. Of course, if you have lots going on every weekend, it might help your family stay on schedule if you establish weekend routines too. The answer about which is best is really up to you as their parent and your kids. Some kids thrive with daily routines, other kids love having free time. The next thing that is tough to keep track of with kids is their schedules. There are so many things to keep organized: sports, activities, playdates and you can’t forget about school and homework. This task is even more difficult when you have older children with jobs and multiple activities and friends. So how do you keep it all organized? You need to establish clear communication between everyone in the family. Here are the two best ways to clearly communicate and keep track of kids’ schedules. Pick a place where everyone walks by – the entryway, or an empty wall in the kitchen – and place a calendar and place for notes. Write down everyone’s plans and schedules all in one place so everyone can see it. This will help to prevent double-booking and scheduling things on top of each other. Check out our family command center ideas for more inspiration about how to set up a central communication zone for you and your family. If everyone in your family communicates best via texting and apps, there are some fantastic calendar apps that can connect everyone. These are the best apps for sharing calendars, creating reminders, and keeping everyone on the same page with various schedules. Cozi – You can use Cozi on any device and even access it from your browser on your desktop or laptop. Every member in your family can have their own account and create their own schedules on the family calendar. Google Calendar – Google is the master of creating apps that can sync across the web and multiple devices. You can also use the Google calendar to send you reminders and set alarms. Wunderlist – This is a free app that has usable to-do lists that are easy enough for kids to create. Getting kids organized is a tough thing. But once you establish routines and see everything running smoothly, how do you keep kids organized? The secret to keeping kids organized is to make sure you have realistic expectations. 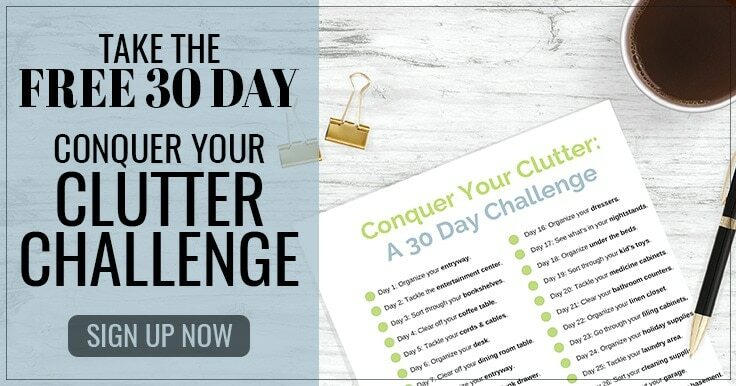 Create chores and routines that you know they can maintain. It’s also important to live by example. It’s almost impossible to try and keep your kids organized if you can’t keep yourself organized. After you are able to display functional organization skills, you can begin to teach them to your kids. When you are trying to expect things of your kids, keep them realistic. According to the HealthyChildren.org, these are the skills most kids are capable of at various ages. Keep in mind these are for most children and don’t account for kids on the Autism spectrum or other diagnoses. Preschool – Kids from 3-5 years old have a limited understanding of time. They can follow 3 part commands. Keep things simple and clear. Grade School – Older children (5-10 years old) can understand cause and effect better. This is a fantastic time to introduce rewards systems and regular chores. Middle School – Middle school kids (10-13 years old) are going through puberty, so there will be a lot of emotions to deal with. Begin to involve them in the decisions. Teach them the reason behind the routines and expectations, and instill a positive self-esteem with it. High School – High school teens (14-18 years old) are ready for more responsibilities. Begin to teach and expect them to help you keep track of their own budgeting and schedules. Prepare them for adulthood by introducing these responsibilities in small ways. Keeping track of your kid’s chores doesn’t have to feel like an unbearable burden. 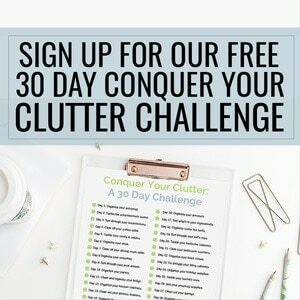 Create a chore system that everyone can follow long term. Keep the rules and rewards simple so everyone will be more likely to continue following it. There are 3 main ways to organize kids chores – with chore charts, in an app, and using allowance. Chore charts are an incredibly popular way to keep track of everyone’s chores. Print them and display them on the refrigerator or in their rooms. Blank Chore Chart – Fill in with your child’s chores and let them put stickers for every chore they complete. Dry-Erase Magnetic Chore Chart – Save on printer paper and ink. Buy a chore chart that you can change with a dry-erase marker. Chore Bucket – Lots of people are also beginning to use a chore jar or chore bucket instead of a chart. You can either let them earn screen time by doing certain chores, or earn money. Chores apps cut down on paper use, and are really helpful for kids that are more technologically inclined. Sometimes, a fun app can be really motivating and make chores more enjoyable. ChoreMonster – easily create rewards for certain chores and set this up for your kids on their device. The app is super kid-friendly. They can see in real time how many points they are earning. ChorePad – ChorePad looks like a chore chart but it also keeps track of how many rewards your child is earning. It uses photos for young children that can’t read yet. iReward Chart – Just set up how many stars it takes to earn certain rewards and let your kids work towards them. This is wonderful for chores and also setting positive behaviors. Keeping track of allowances can be simple. There are three main ways to keep track of allowance – prepaid debit card, allowance app, spreadsheet. Using a prepaid reloadable debit card like FamZoo is a good idea because it teaches your teen or child how to manage money on a card instead of cash they can see. Choose a card that gives you as a parent access into their spending habits so you can help them learn how to handle money responsibly. Another option is to use an allowance app like BusyKid. This taps into their use of apps and teaches them how to manage money in the new tech age that we are in. The final choice for making allowance management easy is just tracking it on a spreadsheet. Google Sheets is cloud-based so you can update the chore spreadsheet with how much you owe them, even if you aren’t at home on the computer. The next things that you have to keep track of are all the school lunches you have to pack. Cut down on how much time you spend packing school lunches with these simple hacks. Avoid the biggest bottleneck of all – trying to figure out what to pack. Sit down with your kids and create a master list of all their favorite things to have in a school lunch. Then, create a menu of 15 lunches and just rotate them. Your child will hardly ever eat the same thing for lunch in the same month. Another time-saving idea is to store individually wrapped items in separate tubs in the refrigerator. Then when it is time to pack lunches, you just have to grab things from the tubs and go. Weekdays can be exhausting and hectic. Try to make things easier on you by doing all the prep work on the weekends or your days off. Something else that can get out of hand quickly is keeping track of school papers, art work, and other memories your kids made. This is so understandable! Every single thing a child makes is priceless. But if you don’t have a filing cabinet you can use, you need to organize all the memories. First you need to figure out how much space you have. 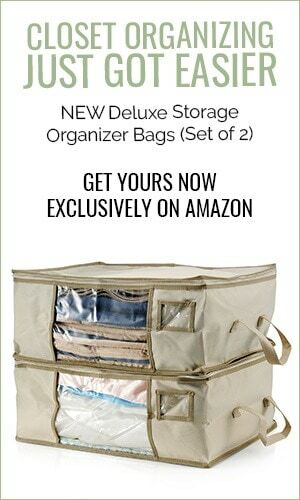 Are you going to use one tote for all your kids’ papers? This one decision will set the limits for how many papers you can keep. After you know how much room you have to store the school papers, decide what to keep and what to throw away. Ideally, you want to keep only the best highlights from the year. If you are having a particularly difficult time deciding what the best is, try this: Once a week, go through the papers from school and only keep the one best paper. Then, once a month go through those 4 papers and only keep the one best project or paper from that stack. One of the best ways to keep track of your child’s memories is to use the Class Keeper. It helps you track all the most important milestones and memories in one box. How do you keep track of homework and school projects – especially when you have multiple children? You need to create a system that works for you and your children. Here are some tips that have proven to be successful for lots of families. Many schools already use planners to write down homework and establish communication between parents and teachers. If your child’s school doesn’t use planners, buy one yourself and teach them how to use it. As soon as they find out when a project is due, teach your child how to write it down on that future date. Make reading through the planner part of your homework routine. Finally, decide where the best place in your home is for your child to do homework. Do they have room in their bedroom for a desk? Is it better to create a corner of the dining room or maybe give them space in your home office? When you decide where your child will do their homework, create a place for homework reminders. If they have upcoming projects or tests, this is a place that will remind them what to focus on. There you have it! It’s always a perfect time to focus on kids organization and keeping everything under control. Don’t let multiple schedules and family needs overwhelm you. Establish a few routines and systems that will help you find success organizing your family. 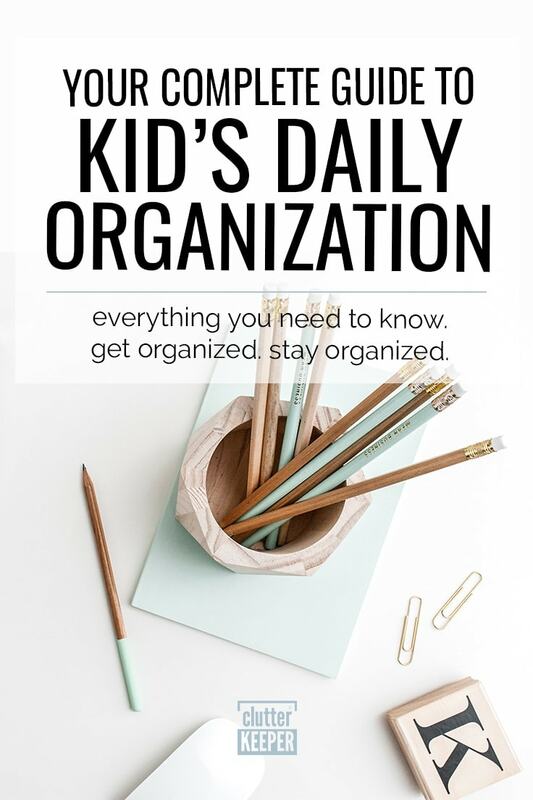 If you enjoyed this post about kids organization and keeping kids organized, these other articles will help you to organize other parts of your family life too. Large Family Tips – Follow these ideas and you’ll keep everyone organized in no time. How To Get Kids to Do Their Chores – This post will give you lots of ideas that actually work. Kids Room Organization: Your Complete Guide – Learn how to organize your kid’s bedroom and then teach them how to keep it clean.